The photographer in you will simply love this 4 day 3 night photographic safari. The Kruger is the most famous wildlife park in the world and with a night drive, you get to catch sight of all kinds of nocturnal animals. 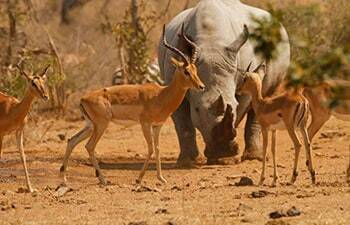 With this memorable 4 day Kruger Park budget tour, you can see a variety of animal species from the comfort of an open safari vehicle. This tour includes comfortable accommodation and is available at affordable prices. This exciting 4 day tour of the Kruger has been designed for backpackers and students. With Kurt Safari, you will spend 4 days on a Kruger Park safari, looking for some of the parks most famous inhabitants including the Big 5. The 4 day classic safaris offer guests a most exhilarating adventure. This package provides more than enough time to spot the Big 5 as well as a host of other interesting animals. Comfortable accommodation is included. We’ve designed our Kruger safaris to be as comfortable as possible, and we’ve sourced the best accommodation for each of the safaris we offer. When comparing our Kruger Park safaris with similar companies, you’ll find that our tours come out on top time and again. Regardless of whether your trip to the Kruger is for a romantic holiday or a yearly family getaway, we have the best Kruger National Park safaris for you to choose from. Start making your own memories of the Kruger National Park. Book your Kruger tour today! A 4 day Kruger Park safari is filled with all of the best experiences that this world-renowned nature conservation park has to offer. With half a million guests passing through the Kruger National Park’s gates each year, the Kruger remains South Africa’s top safari destination. You can see it all here and with a 4 day Kruger trip, there is more than enough time to make memories while filling your photo album. A Kruger Park private safari can reinvigorate your soul. 4 days spent in the quiet surrounds of unspoiled wildlife, with nothing to distract you except the call of the fish eagle and the gentle footsteps of a passing elephant, guests can unwind and immerse themselves in tranquil nature. Guests visiting the Kruger can enjoy all of the modern conveniences such as comfortable accommodation and internet access. 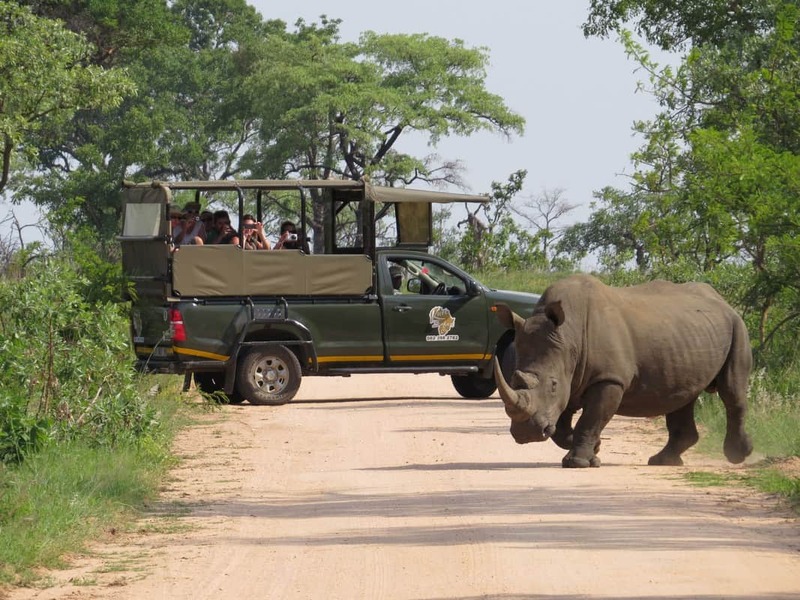 Kruger National Park safaris are conducted in an open safari vehicle, designed to give the height need to see over plants and small trees in order to spot wildlife. Kurt Safari focuses on the Southern Kruger, driving guests along those roads best known for the Big 5 and all kinds of other animals. We drive guests through the gates closest to Hazyview, the town in which we book accommodation. Visitors enjoy a full day Kruger National Park safari for every full day they are with us. With the maximum amount of time spent in the park, guests can really see it all! The Kruger National Park safari is a truly once in a lifetime experience and it is best enjoyed with a safari operator. 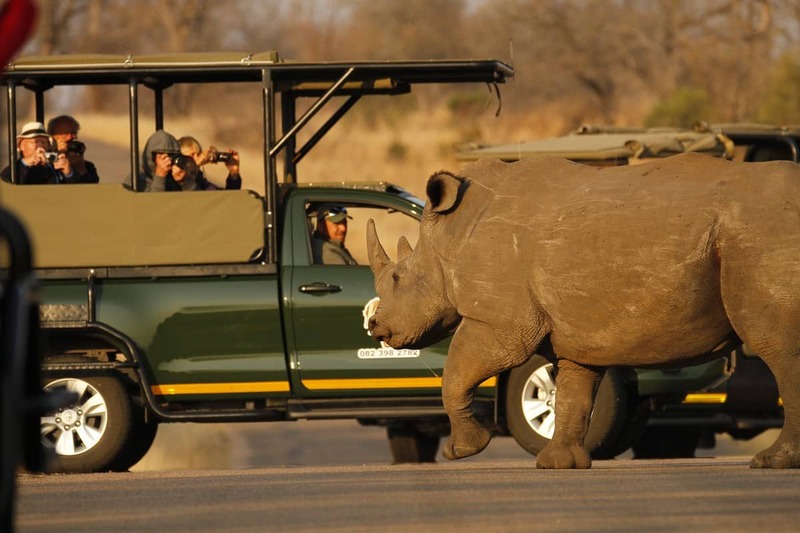 Guided Kruger Park trips allow guests to get the most out of their stay. 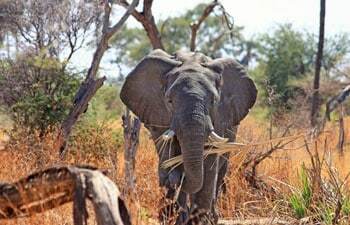 Each tour is led by a knowledgeable guide who has years of experience touring the Kruger. Although you are spending plenty of time on safari, each day yields new experiences and the opportunity to see something different. Nothing in the Kruger is predictable, so each safari is a one of a kind journey. Our phenomenal selection of 4 day Kruger Park safaris includes a combination of private safaris as well as shared ones. 4 days is an excellent amount of time to spend in the park and you will certainly leave us with a new appreciation and a renewed love for the African wild. 4 days in the Kruger is the dream for many an adventurer. The Big 5 safari not only includes plenty of time on safari but it also includes luxury accommodation, making it the perfect tour package for guests wanting to completely unwind. The 4-star accommodation included as part of the package is based in Hazyview, which is a short drive away from the Kruger. After a day spent spotting animals, guests will return to their luxury rooms and a delicious meal, the ideal setting in which to completely relax. There is nothing quite like falling asleep to the sounds of Africa. For the visitor wanting to capture the most exquisite wildlife images, this Kruger National Park safari is without a doubt the best option. The safari is custom made and custom priced, so guests will enjoy a more unique and personal experience. With two drives a day, in a comfortable vehicle, photographers have all the time in the world to focus on their craft. After each day, we return to comfortable lodgings and some downtime. Each day spent on safari is an early one, as we like to be in the park before the sun rises. This guided Kruger Park safari is perfect for backpackers and students alike, with the price being more than affordable for the experience you will receive. With 4 days of safari, guests will leave the park having seen an abundance of animals, perhaps even the Big 5. Accommodation is situated close to the Kruger, and each evening guests can relax to the symphony of sounds that emit from the surrounding nature. A classic budget safari, this adventure is not to be missed. We believe that no one should miss out on the opportunity of seeing the park, just because some safari packages are exponentially priced. Budget safaris include comfortable accommodation close to the Kruger as well as evening meals, breakfasts and transfers to and from Johannesburg. Visitors will spend many days on safari, seeing all kinds of animals, including the Big 5, as we tour the Southern Kruger. The Classic Kruger National Park safari is one of our most popular tours and it is certainly the best way to explore the park. This tour includes full days in the park, sunset safaris, and early morning starts. Our safaris start at the best times, ensuring that you get the most out of your stay by seeing as many animals as possible.